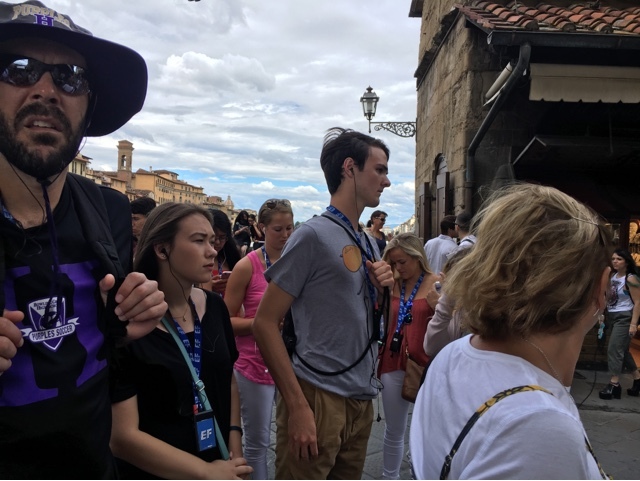 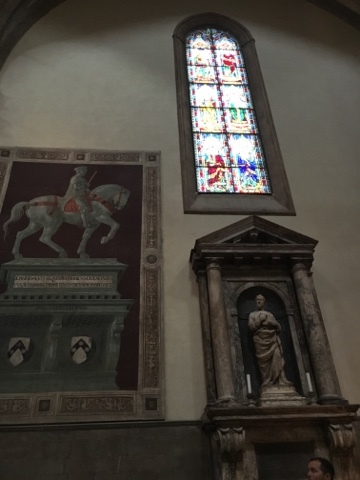 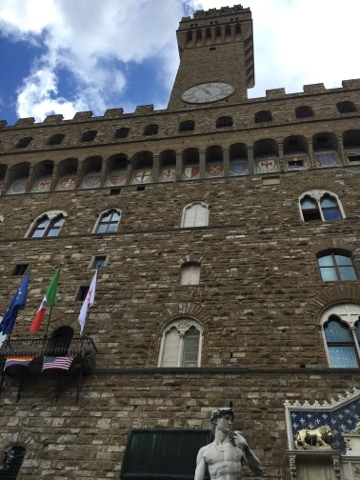 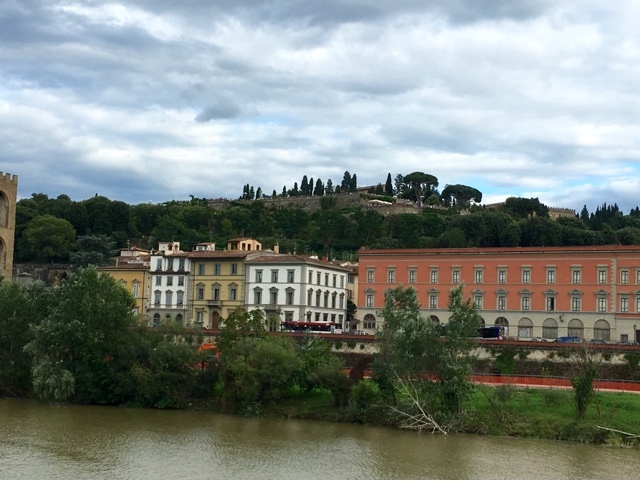 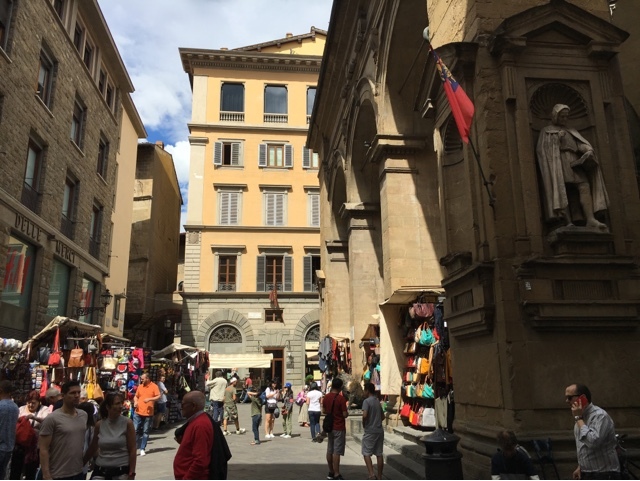 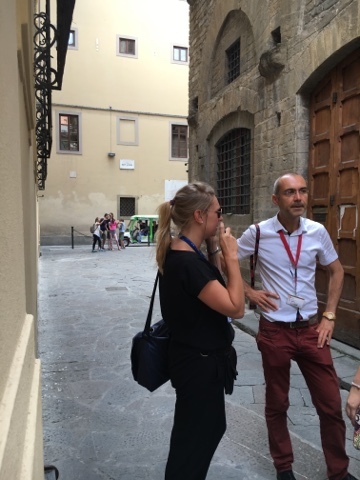 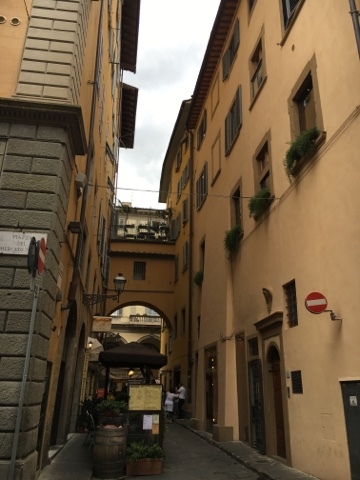 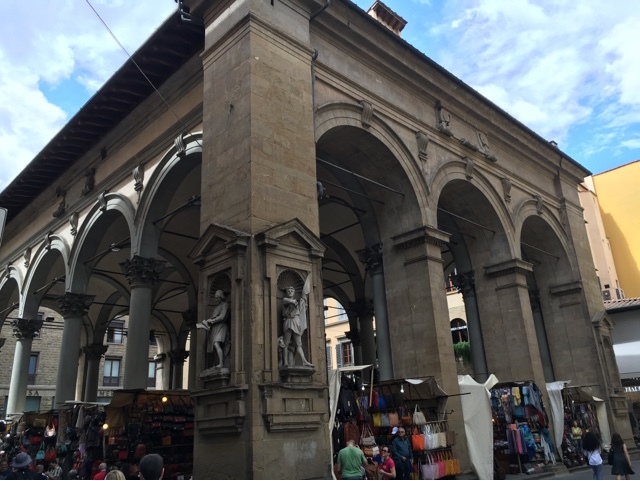 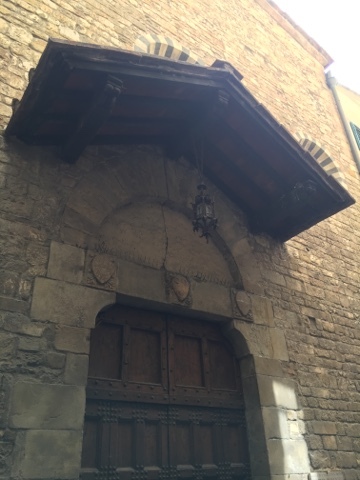 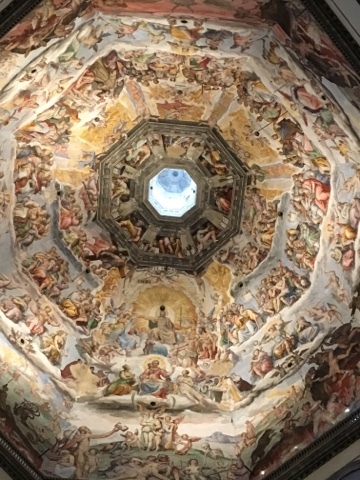 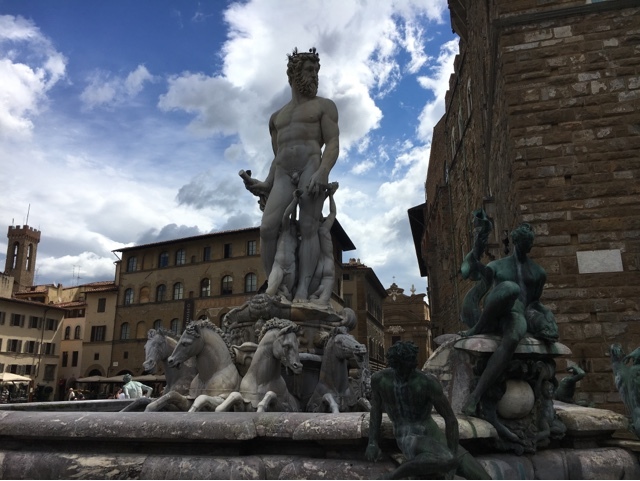 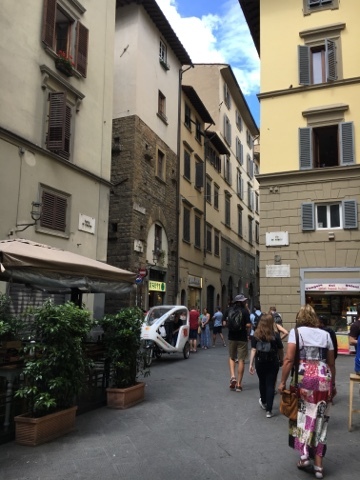 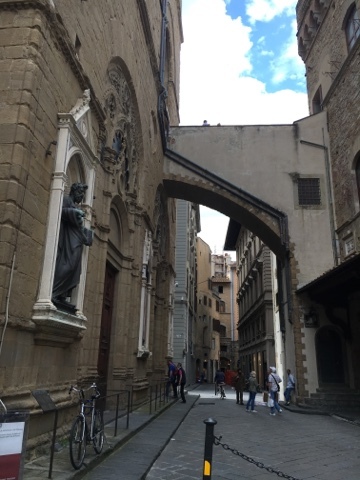 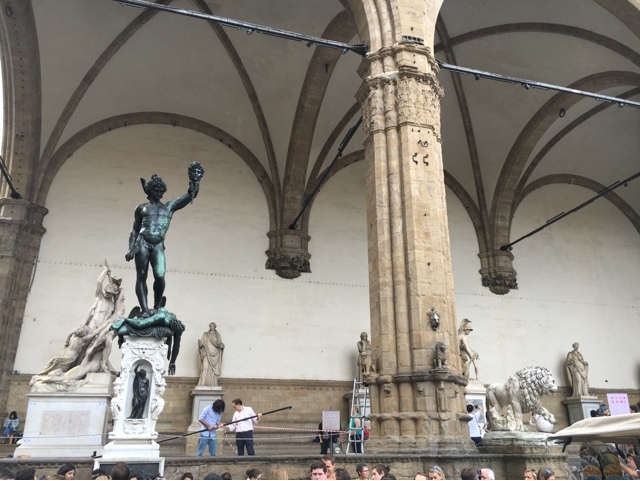 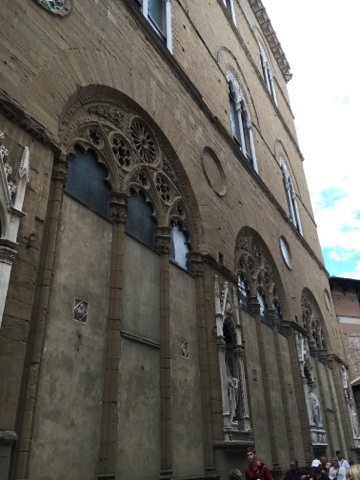 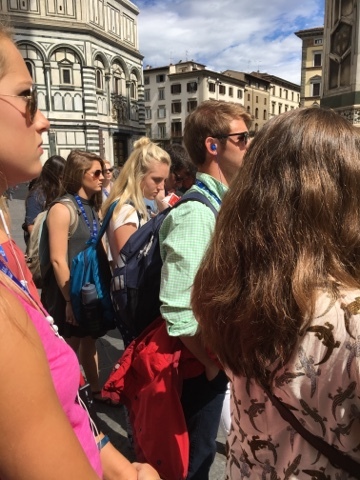 I have long said that Florence is one of my favorite cities, but this trip showed me that I'm kind of sick of the touristy version of Florence. 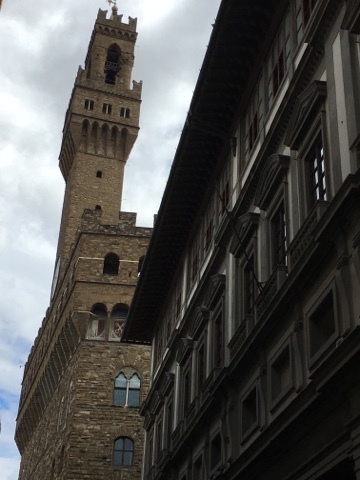 When I go back, I'll want to make a concerted effort to see and do some new things in order to keep my love of the city alive. 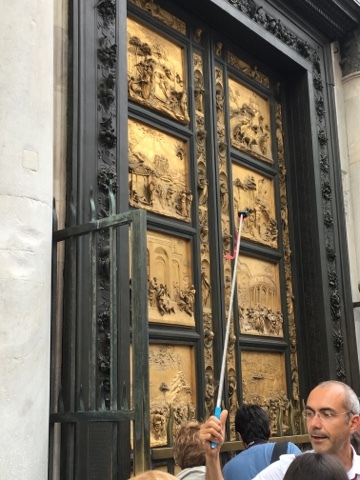 Such a problem to have, right? 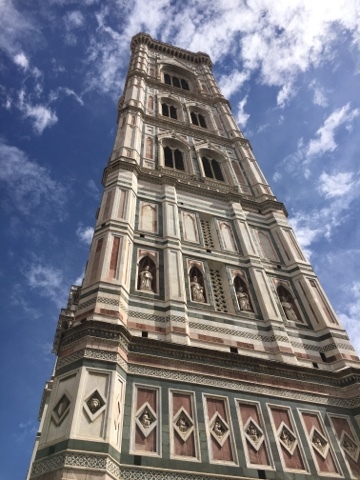 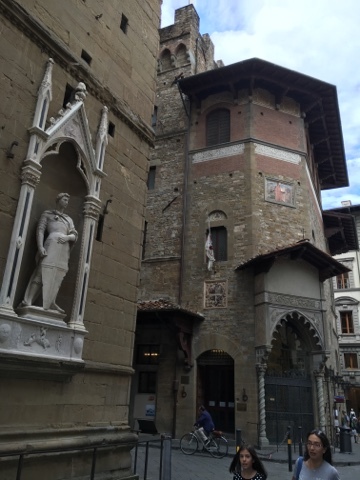 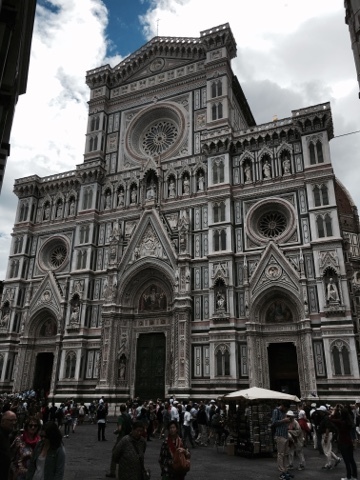 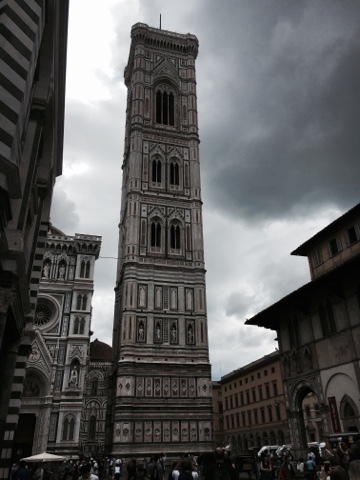 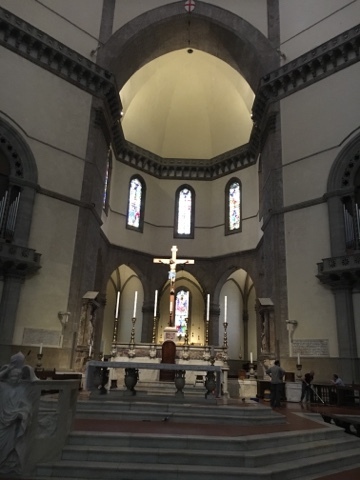 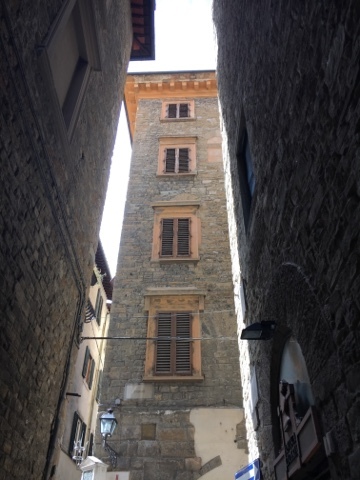 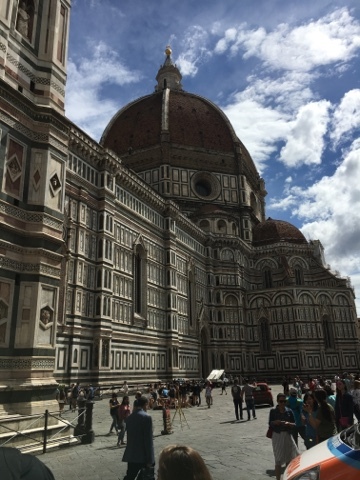 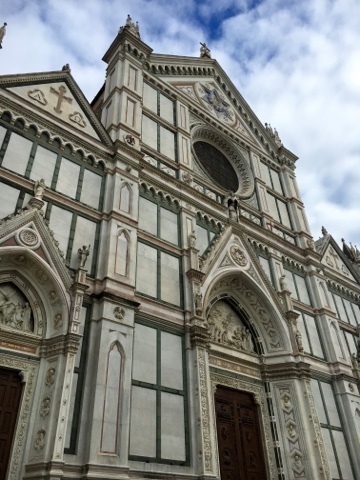 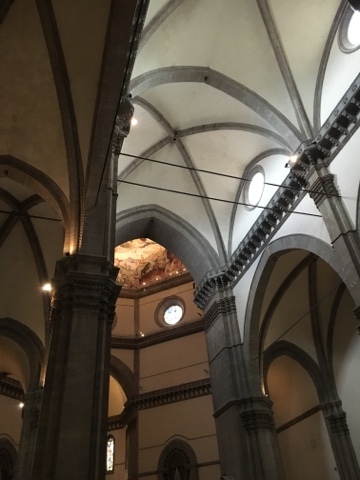 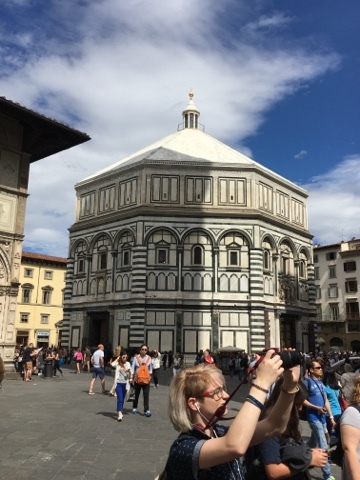 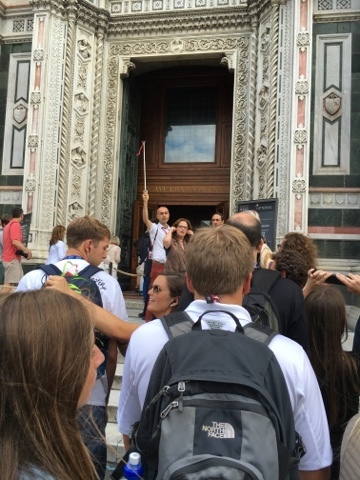 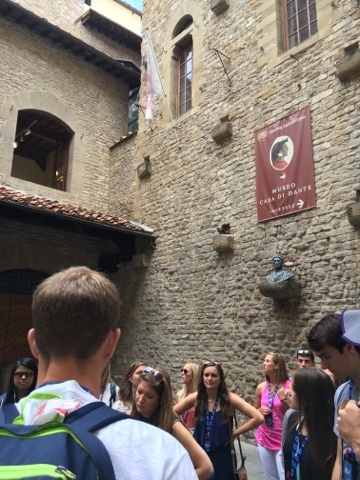 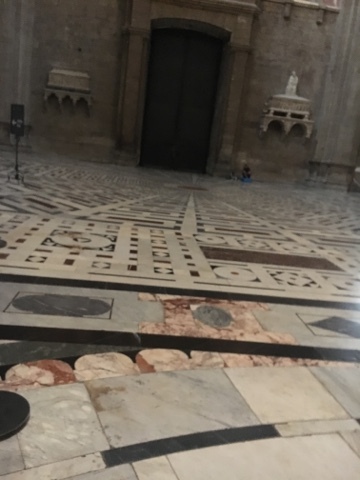 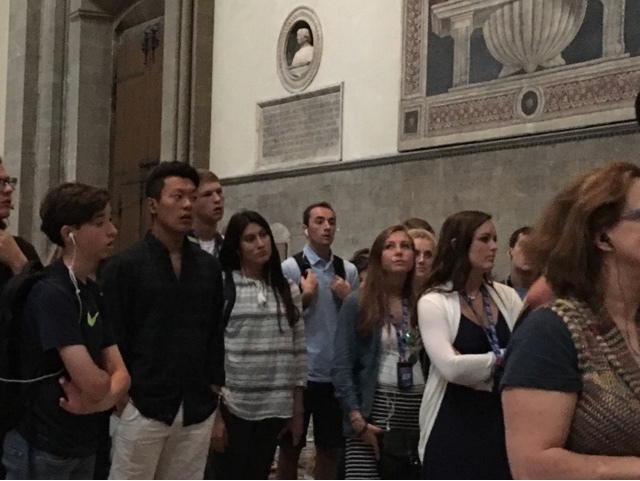 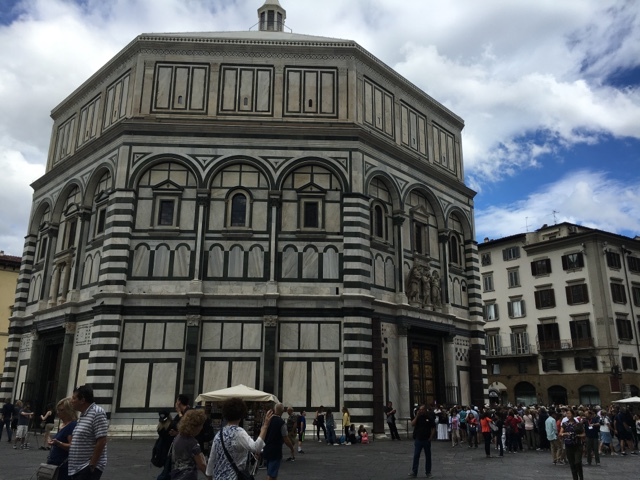 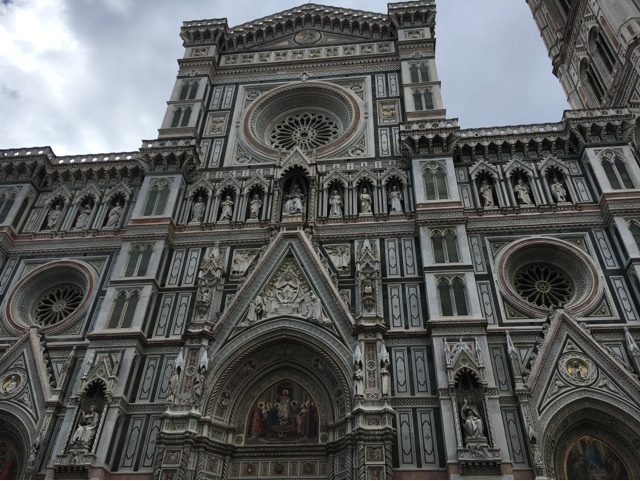 As in other cities we've visited, the Duomo, or cathedral, is made up of three separate buildings - the tower, the baptistery, and the church. 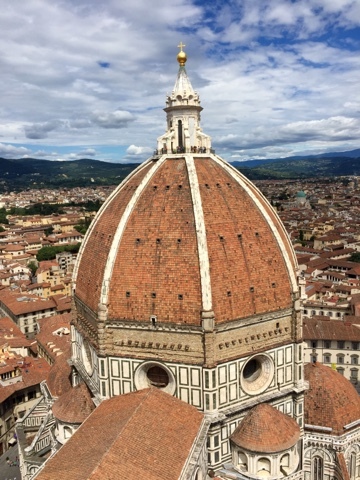 I only visited the inside of the church this time, but some of the students climbed to the top of the tower and took some amazing photos of the city. 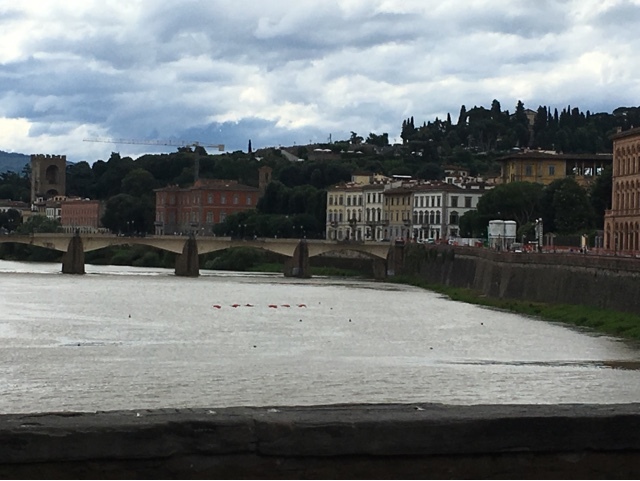 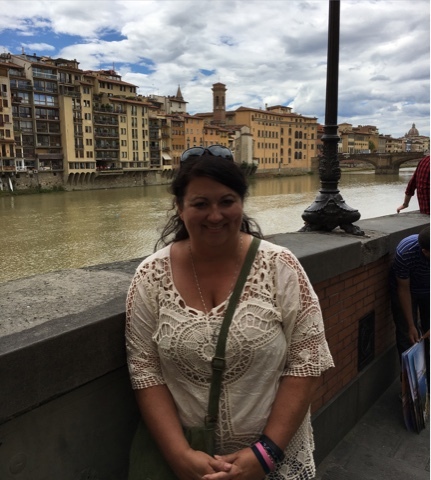 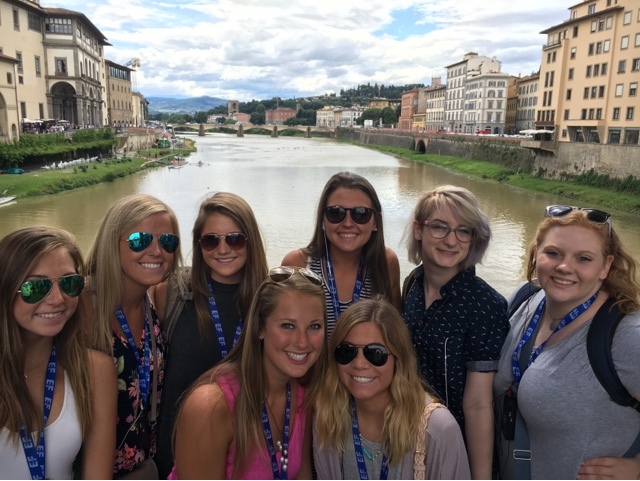 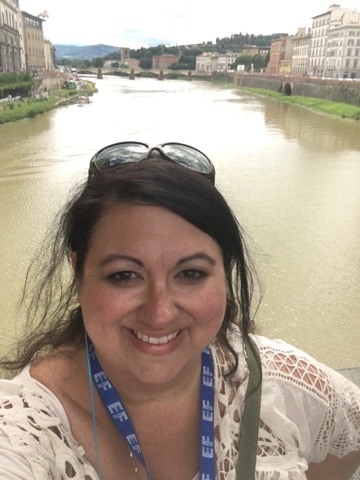 How ask is this view from the Ponte Vecchio? 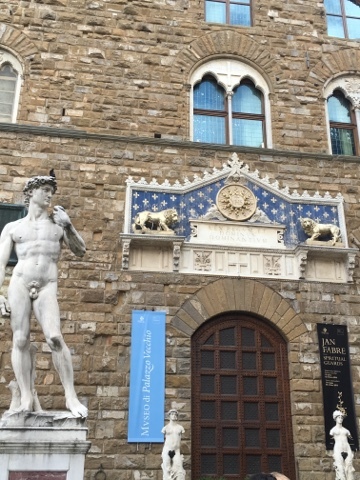 This is the replica of the Dave; the museum housing the real one was closed the day we visited. 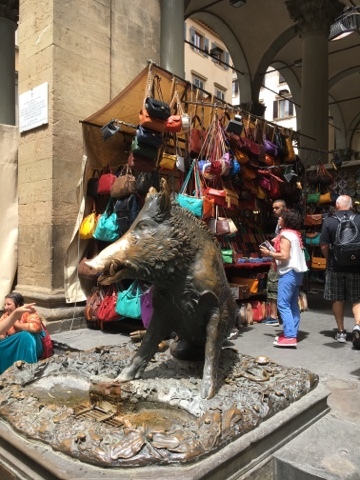 The legend goes that rubbing the pig's nose at the leather market will guarantee that you return to Florence. 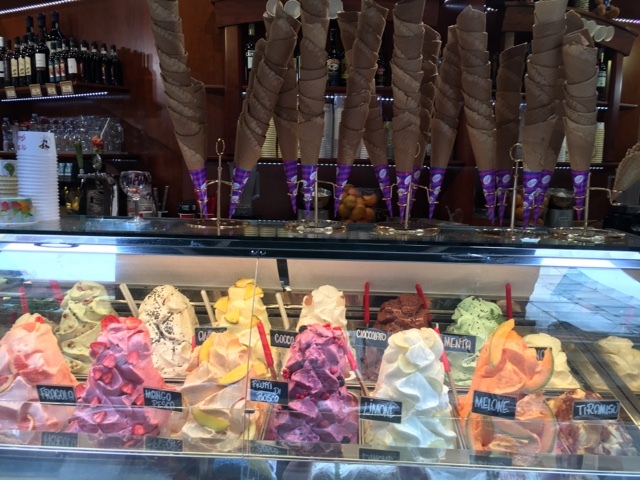 Even the gelato looks like art in Italy. 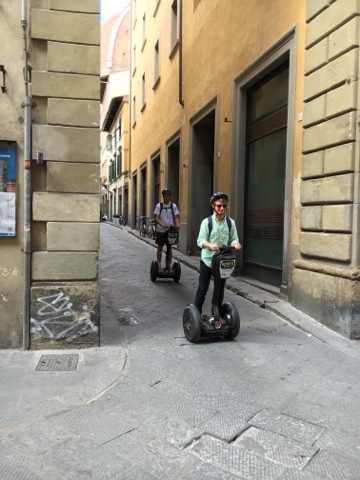 Street performers like this are common in tourist areas of Italy. 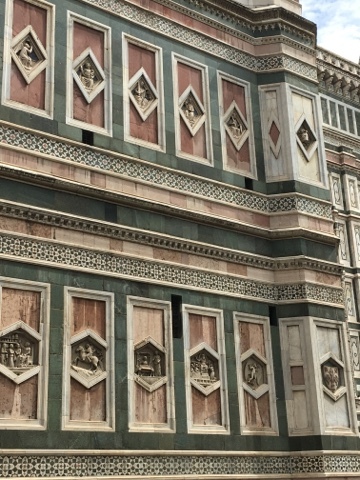 The colors and the architecture of Florence still make my heart go putter patter; now, the challenge will be in finding some 'off the beaten path' ways to keep my love of this city fresh. 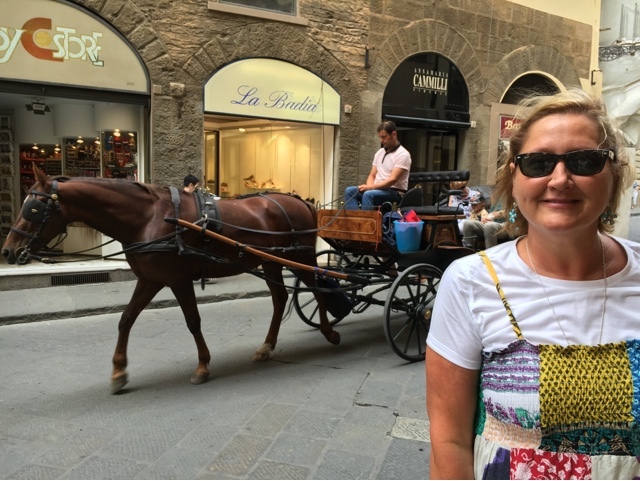 your blouse was a work of art too. 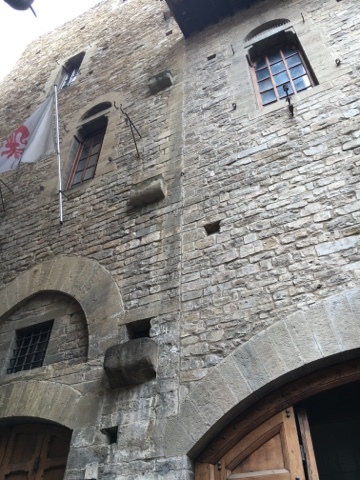 did you rub the pig's nose? 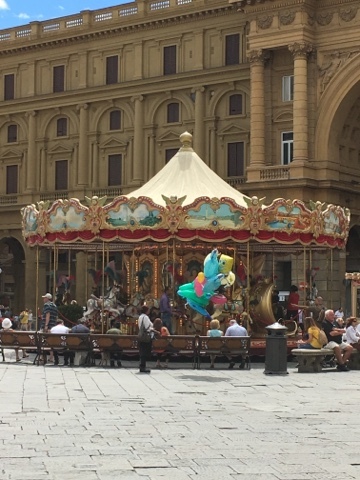 did you taste the gelato? 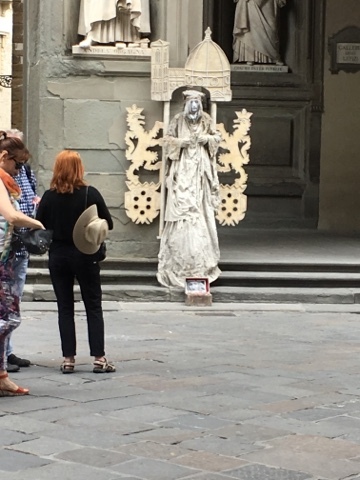 that street artist made my heart swoon. 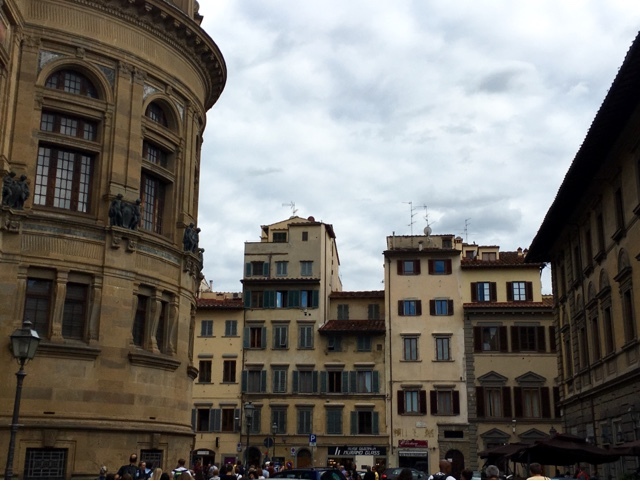 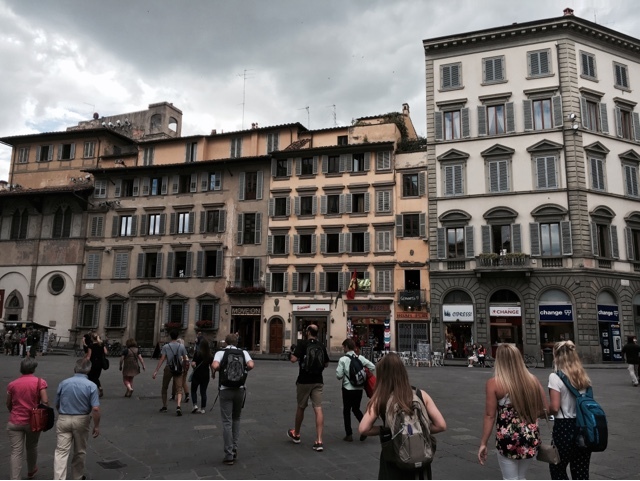 Florence in summer is challenging. 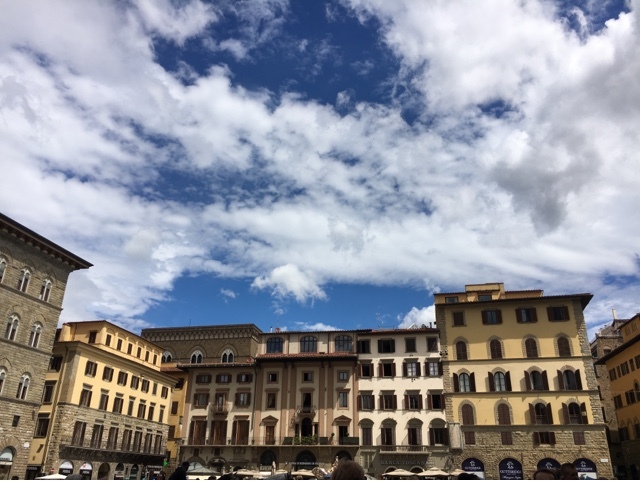 I went in March and October, had fabulous weather. 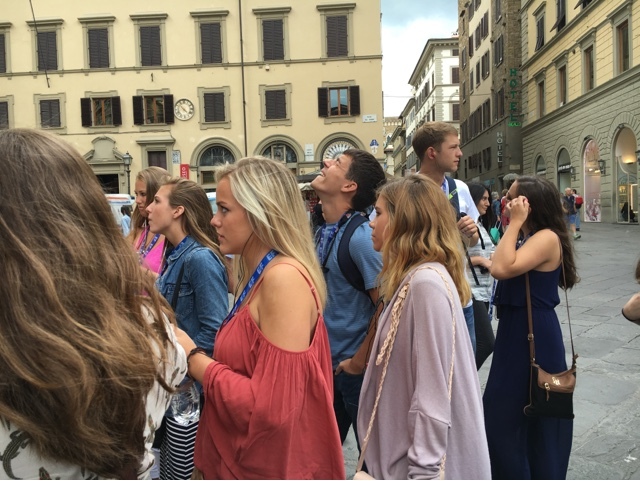 There is so much to see you don't have to spend all your time in the most popular spots.